Helping my friend sell a set of 4 18×9.5 Matte Black Rota Grids +25 offset with Bridgestone Potenza RE760 sport 255/35/18 tires 5×114.3 pcd. 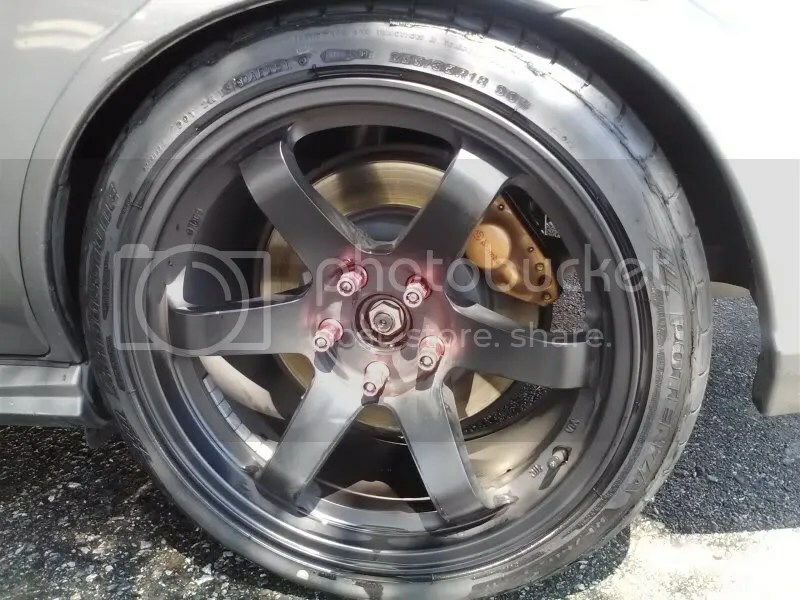 There’s minor curb rash on 2 of the wheels and tires still have a lot of tread on them. I’ve had this setup for less than a year now and I’m looking to switch to a different set of wheels so these need to go. I am also willing to sell the red BLOX tuner lug nuts along with the set. ← UPDATE: june gloom, busy summer, and hidden opprotunities.